Android is something which isn’t directly accessible on your MAC. 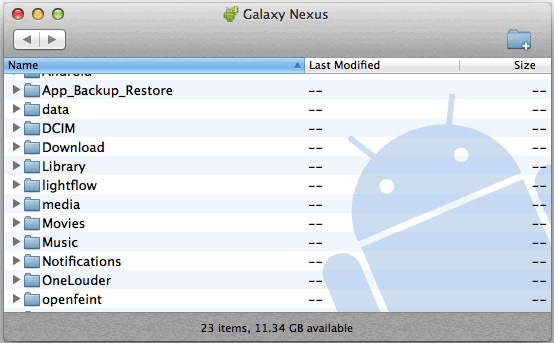 You should have some utility in order to successfully do the android files transfer on a Mac powered laptop. Apple laptops are well known for the durability and easiness, as you can sync an iPhone with your Mac through quite an ease but it’s a different case with android. Without doing some installations you can’t mount your android storage and transfer files. This article helps you learn how to transfer files in android through your Mac. This utility is simple which can be installed on MAC. Follow these steps to make sure you are able to transfer files to your android phone through Mac. 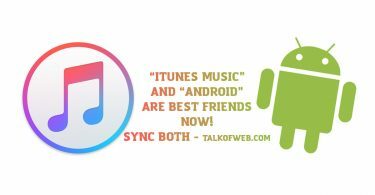 Download Android File Transfer for Mac. Mount the downloaded file and paste it into your Applications folder. Make sure that your smartphone is unlocked and also the “File Transfer” protocol is selected once you connect the USB. If you are not totally dependent on the output which is to put files into android smartphone through a mac, and you want something cooler than android file transfer than HandShaker is one of those things. Download HandShaker from the iTunes. Make sure you have downloaded and installed HandShaker through iTunes. Make sure you have enabled the “USB Debugging Tools” inside the Developers Settings. If you can’t find “Developers Settings” inside your android smartphone just make sure you go to “Settings -> About Phone -> Build Number” and tap it like 7-8 times until you see a toast telling you that “Developer Settings have been Enabled“. After you’ve enabled USB Debugging Tools, then launch “HandShaker” on your mac, and then connect your smartphone with USB Cable. Now, your smartphone will ask you to authorise this PC or not? You know what to do here, simply click on Authorise. Now you’ll be welcomed with a fine interface, where you can see things like Music, Videos and documents distinctively. You don’t have to actually look at those ugly icons but instead, you can watch thumbnails with preview. 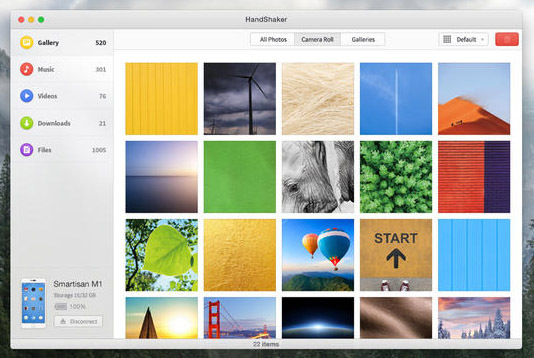 You can export your images and can also view them without downloading inside your Mac.